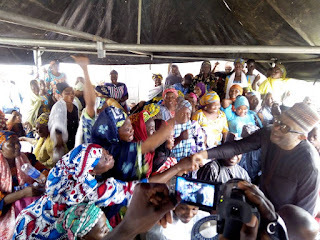 Kwara state gubernatorial aspirant and Chairman of Sobi FM, Mallam Lukman Olayiwola Mustapha was warmly received today at his Isale Aluko family house in the heart of Ilorin by large number of youths, women and elders.. The foremost gubernatorial hopeful, who today host people from all walk of life, among which are islamic clerics, leading politicians, professional and entrepreneurs in commemoration of the 36 years anniversary of his late mother Hajia Hadija Mustapha was welcomed by teaming youth supporters, women and men who wore customised shirt showing their support for Lukman Mustapha. 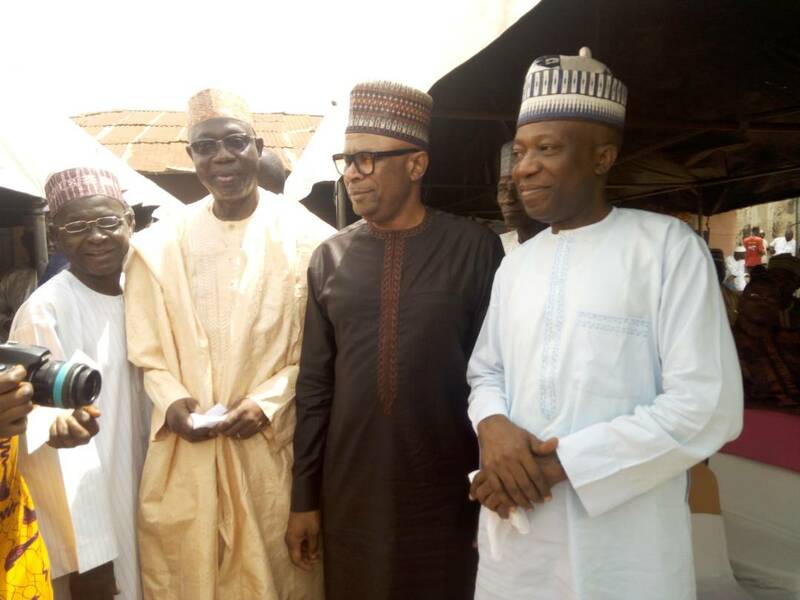 Among the top notches that graced the occasion are two opposition gubernatorial hopefuls, Professor Oba Abdulraheem and Professor Abubakar Suleiman. Others present at the event are the PDP Chairman of Ilorin west local government, the woman leader of PDP in Offa local government and other prominent stalwarts of the PDP. Interacting with some of the attendees, they revealed that their support for Lukman Mustapha was base on his antecedent as a lover of his immediate community and his selfless philanthropism. They noted that the banker have been responsible for yhe tuition fees of hundreds of their wards in different academic institutions and across levels gave them hope and assurance that he would serve the people better if elected as Kwara state governor. Mr Aberi Shuaib, the Chairman of Lukman Olayiwola Mustapha Movement (LMOM) speaking on behalf of his group said they're committed to mobilizing youths and women for the actualization of a better Kwara through Mallam Lukman Olayiwola Mustapha. Also speaking with journalists, Alh Sheu Ogeshin debunked insinuations that Lukman Mustapha aspiration is not accepted in his birth place, saying majority of Isale Aluko people today ans in fact every household is in support of Lukman Mustapha against any other contender from within or outside Isale Aluko.